Takeda Pharmaceutical Co. is considering a sale of some emerging-market drugs, as the Japanese drugmaker expands a push to cut debt after its $62 billion takeover of Shire Plc, people familiar with the matter said. The company is working with Bank of America Corp. to gauge potential buyer interest in emerging-market assets it acquired through its 2011 purchase of Swiss rival Nycomed, according to the people, who asked not to be identified because the information is private. The medicines, which include over-the-counter and prescription drugs, could fetch about $3 billion, the people said. Shares of Takeda rose as much as 2.5 percent in early Tokyo trading Tuesday and were up 1 percent at 9:59 a.m. Deliberations are at an early stage, and there’s no certainty they will result in a transaction, according to the people. “No decisions have been made regarding specific assets for potential disposal at this stage,” a spokeswoman for Takeda said in an emailed statement. A representative for Bank of America declined to comment. 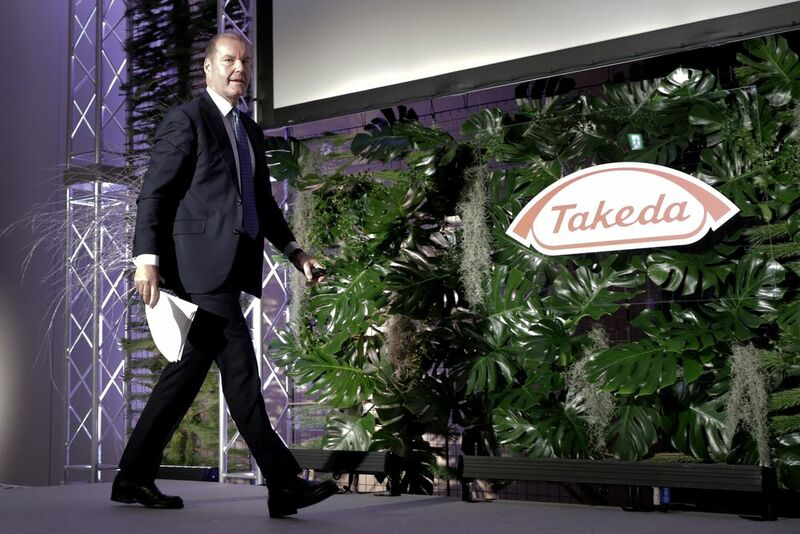 Takeda’s takeover of Shire, completed earlier this month, vaulted it into the ranks of the world’s 10 biggest drugmakers and brought lucrative therapies for rare diseases. It also doubled the Japanese firm’s borrowing level and prompted S&P Global Ratings and Moody’s Investors Service to cut its credit rating. Chief Executive Officer Christophe Weber said in an interview this month that Takeda wants to move quickly on asset sales. Takeda has said it’s looking to divest overseas businesses where the company isn’t an industry leader and doesn’t have critical mass. Takeda is working with JPMorgan Chase & Co. as it evaluates options for its European over-the-counter business, Bloomberg News reported in October. The Japanese firm has also been considering disposals of its Xiidra eye-disease treatment and Shire’s Natpara medicine, people with knowledge of the matter said in September.